Covering the face leads to security complications. A covered face makes it impossible to identify a person through CCTV. If a group of hooligans with their faces covered attacked you on the street, the risk posed by them covering their face would matter more than their individual freedom to do so. If so, than the ban shouldn't be on burkas, but rather on any items of clothing that cover the face. A blanket ban is a disproportionate solution. 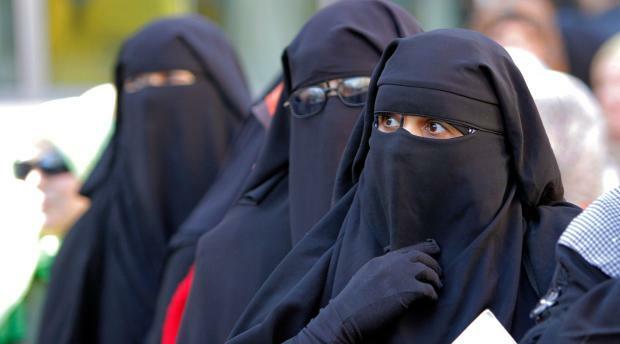 Requiring the removal of the burqa or niqab in certain places would solve the problem, and a total prohibition on wearing is therefore not supported. Many security complications are easily handled. Airport security just request anything covering a face to be lifted, and can offer a private room/female staff member, if requested.